With its beautiful natural landscape and a supportive business community, the Isle of Man offers an excellent quality of life, both professionally and personally. If you are considering moving your business to the Isle of Man, you will need to think about a number of things, including business premises, work permits for your staff and financial matters, among a variety of other important legal considerations. 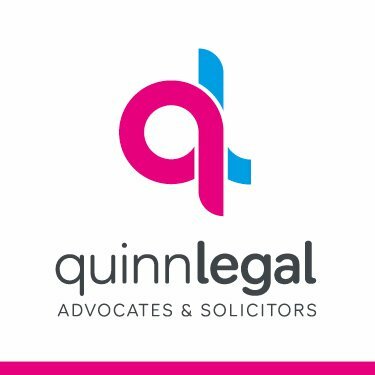 To make things a little easier, we have caught up with the Business Team at one of the Island's leading legal firms, Quinn Legal, to share the vital legal things to consider when moving your business to the Isle of Man. Most Isle of Man companies are formed under either the Companies Act 1931, the Companies Act 2006, or the Limited Liability Companies Act 1996. Depending on what you are aiming to use the company for, each Act has a variety of advantages and disadvantages to consider. When relocating, your legal options include either incorporating as a new company on the Isle of Man or establishing a branch of your existing company. From a financial perspective, the Isle of Man has a lot to offer relocating businesses. With a stable and understandable tax regime, the Island has a tax cap for entrepreneurs and operates VAT within the customs union. The Isle of Man Government supports the business sector with grants and funding, while across the Island's industries, there is ample opportunity for investment. Available grants include the Enterprise Development Scheme which encourages businesses relocating to the Island with investment, loans and equity possibilities. More information about this scheme can be found here. In addition, support and help with financial planning are offered by the welcoming and inclusive business community, with many financial and legal firms providing helpful services. The crown jewels of any business with patents, copyright and trademarks are its intellectual property rights. More information about the intellectual property can be found here. When relocating your business, it's important to consider the legal implications of any intellectual property you currently own or have rights to. You can instruct a local law firm to assist with the transfer of any intellectual property to an operating entity on the Isle of Man. Employment can be a crucial consideration for businesses relocating to the Isle of Man. Immigration and work permits often receive negative press, but from a legal perspective, organising employment is relatively easy. For some occupations, the work permit requirement has been relaxed, and the opportunity to relocate to the Island without the need for a permit is now available. The Department for Enterprise has also introduced the Employee Relocation Incentive which offers funding of up to 20% towards an employee’s first year net salary, capped at £10,000 per position. For more information, click here. Relocation brings a twofold consideration where property is concerned. Securing premises for your business to operate from should be the first port of call. The Island has great flexibility and many commercial opportunities to suit a range of business needs, from small to large office spaces, managed offices, communal office space and business parks, all in a variety of locations. After considering commercial premises, the next step is to think about who will staff your Island-based business? Are you looking to relocate staff members from your existing offices, or will you advertise for employees on the Isle of Man? You may only have 1 or 2 employees relocating to start with, but it's still worth considering your long-term employment needs. You may need to provide residential accommodation for any existing employees who are happy to relocate to the Island, even on a temporary basis. There is a fantastic range of residential properties available, from roomy flats and townhouses to multiple-bedroom homes in welcoming suburban areas and the beautiful Manx countryside. We thank Quinn Legal's specialist Business Team for contributing their insights to www.locate.im. For more information about their business services, please click here.